Premier steakhouse style location in North County. Restaurant row area with a beautiful modern decor scheme and fun atmosphere compatible with many different restaurant concepts, is one of them yours? Steak house, sports bar, your specialty concept here. Full liquor license in place with great bar area. Sales have been consistently over a million dollar in each of the past two years and they are on pace for nearly 1.2 million in 2013. This is a profitable location for current part time ownership group. Owner provided PnL's show profits of $135,056 in 2011 and $118,720 in 2012. Are you a hands on operator? Cut food costs and labor with your working the location and watch the bottom line swell. Current concept likely will not convey due to Franchisor criteria, but that wont stop this location from doing very well with your new idea and operations. 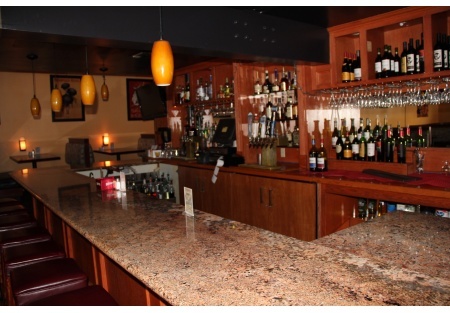 Rent for this fabulous restaurant and bar is approximately 11k per month including CAM. CAM includes many items not included in most leases such as full grease trap servicing. Rent is right at the 10% of sales needed to really make a restaurant work. Inside space is 5690 square feet and they have a great enclosed patio area of approximately 700 square feet. Kitchen is built for volume with everything you could want in place for nearly any concept you can dream of. Ready to take over a restaurant and bar taht does tremendous volume with out even trying? Now is you chance.